This skirt is cut from viscose crepe chiffon with all-over print and matching lining. 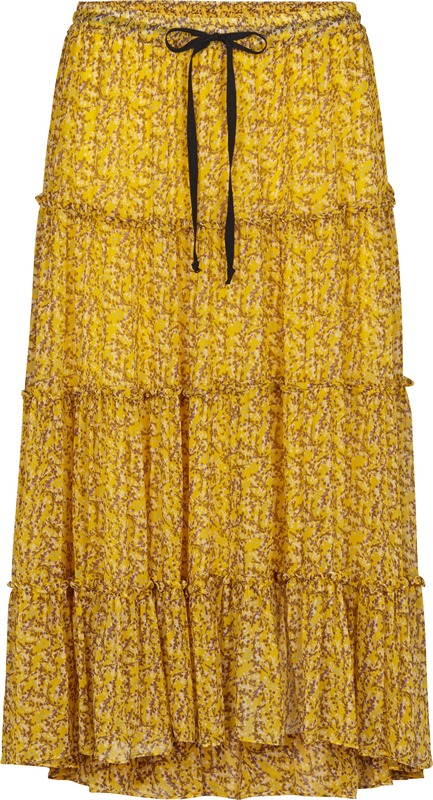 The skirt has an elastic waistband and a little tie and is decorated with ruffle details. It falls gentle and flatters the figure.